Few days ago, I noticed that Exchange Server VM integration services were old and tried to update Hyper-V (Host is Windows Server 2012 R2) Integration Services of Exchange Server VM. 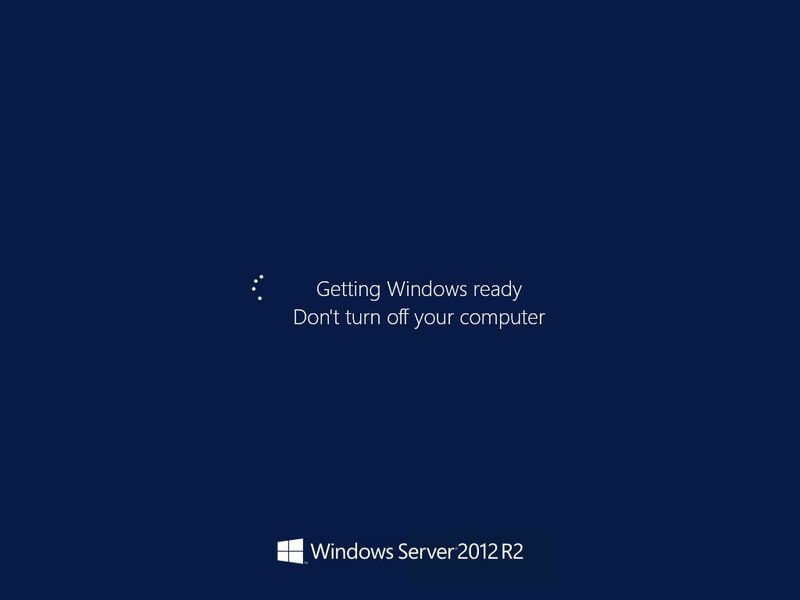 After restart, Exchange Server VM becomes unresponsive on below screen: Getting Windows Ready. Don’t turn off your computer. I tried to restart VM few times, but our Exchange Server VM was unusable. Probably the best solution is to enter Boot Menu and run VM in Safe Mode. For this we have to boot VM from Windows Server 2012 R2 ISO and instead of Install option, we select Repair your computer. After selecting Troubleshoot, we enter Command Prompt. After VM reboot, we can enter Boot Menu by pressing F8 and select Safe Mode option. In Safe Mode Exchange Server VM starts without problems. Now, we have to disable all Exchange Services on VM (by changing Startup Type of services to Manual). After this we can reboot VM in normal way and machine will start. Then we can update Integration Services on VM. After all is updated successfully, we enable Exchange Services again (by changing Startup Type of services to Automatic) and reboot VM. After this Exchange Server is fully functional with up to date integration services. I hope that Microsoft will solve this problem in the future.